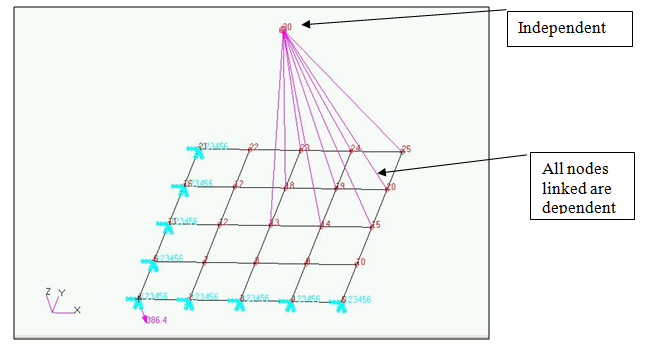 A comparison of the RBE2 and RBE3 multi-point constraint elements. Consider a plate with a mass linked to it. 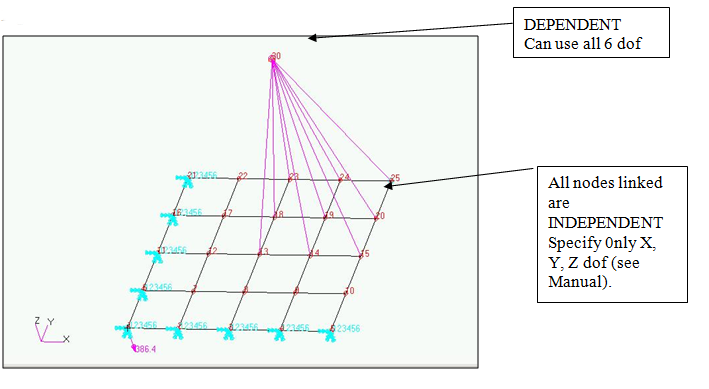 Case A uses RBE2 elements to couple the independent node above the plate to the plate nodes in the upper right corner. All dof are linked. This causes all of the nodes on the plate to follow the node above. 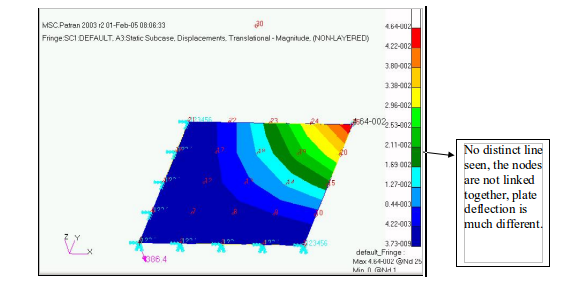 This results in added stiffness of the plate, and less plate deflection. This is acceptable if in fact the linkage between the plate and mass is a very rigid one (such as a thick tube welded to the plate). Max corner deflection is 2.4 e-02 in. Load is 1 g in –Z direction. Plate is fixed on two sides, free on the other two sides. Case B uses RBE3 elements to link the mass to the plate. In this case, the mass is made the dependent node (exactly opposite of an RBE2) and the nodes on the plate are independent (no limit on number of nodes that can be such). This causes the connection to be much more flexible. Note that the nodes on the plate are independent of each other aside than being meshed together. 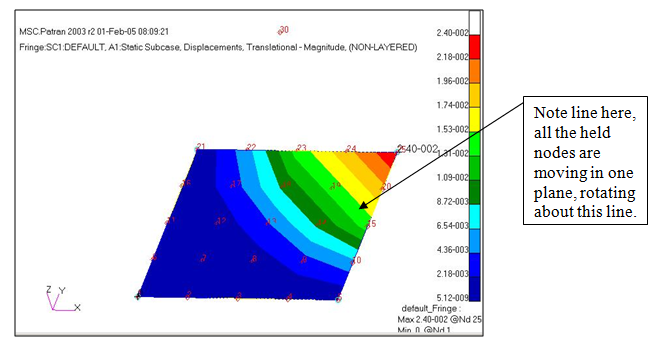 This case is similar to struts linking the mass to the plate. Note the upper right corner of the plate has twice the deflection as in case A. See Appendix 1 RBE3 documentation from Manuals for more details.